At Ostemesteren, we offer you a wide variety of specialties. The wide range of cutting cheese, mold cheese, gouda, homemade cream cheese, organic, traditional, fat, as well as fat-free cheeses, coming from Denmark, from Scandinavia and from Europe. 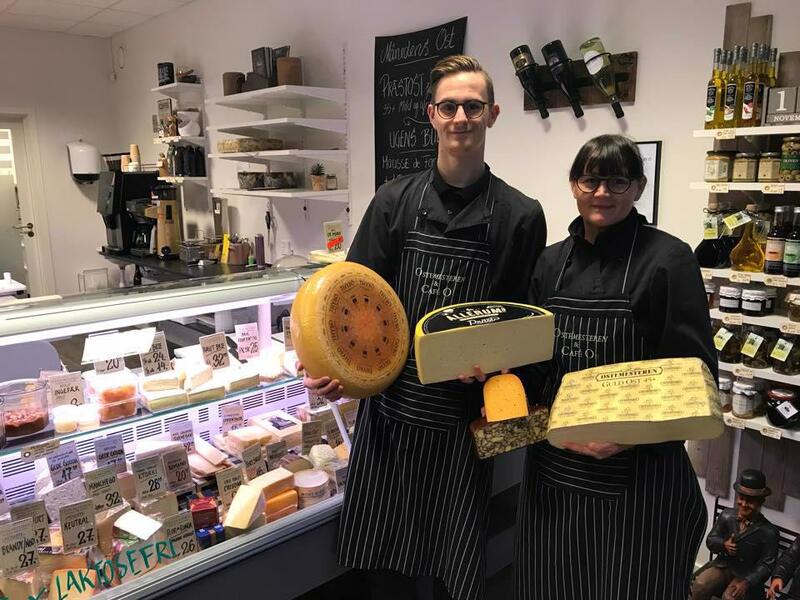 We also offer more local, Western Jutland cheese, to which a great story is often associated with the cheese that the staff will gladly tell. You will always have the opportunity to taste the cheese before buying, so you always make the right purchase. Ostemesteren is specialized in tea, and there are over 55 different types in the store. Ostemesteren offers several meals for take-away. For example tapas dishes that you yourself put together with i.a. quality cheeses, sausage and pâté. Additionally, it is possible to take-away delicious self-assembled cheese dishes with you. We also offer several meals 'To-Go'. Ostemesteren is, incidentally, a perfect choice for a great and welcoming gift basket to the hostess, father's day, birthday party etc. With its beautiful settings, Café O always offers a wonderful and different taste experience. Besides the famous tapas plate we serve all sorts of specialties from Danish and foreign suppliers. Enjoy a great cup of coffee or tea with a slice bread. For the hungrier, you can buy salads, sandwiches and hoagies. You can also refresh yourself with beer, special beers, all sorts of wines and not least the beautiful French lemonades. Remember that Café O is separated from the store - so if you are not into cheese (both scent and taste), it will not affect your café experience and there is many other dishes on the menu. At Café O and Ostemesteren a welcoming and smiling staff, who are ready with expert advice and guidance, in order to fulfill your wishes to the fullest, will be happy to greet you.